I'm a 2010 graduate of the University of California San Diego, with a B.S. in Ecology, Behavior, and Evolution (Biology). I've also minored in Interdisciplinary Computing and the Arts (ICAM). I've always been interested in art and biology. 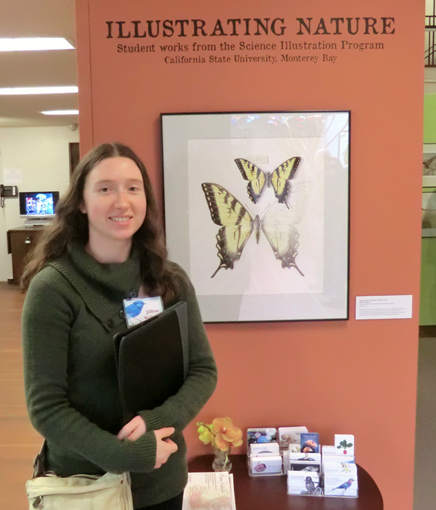 Im a 2012 graduate of the Science Illustration program at California State Univeristy Monterey Bay. I learned how to draw in preschool. I've had private art instruction since I was 11, and normal after school art classes before then. This was in traditional art though, and taught by a local professional in my hometown: Dante Rondo. I've had my work shown in a restaurant and at a local art gallery in my hometown at age 15—the youngest person to ever show there. In highschool (2005) I taught myself how to use photoshop since it was required at an internship I did that makes army training games. I learned a bit of 3Ds Max there too. Since then I've been interested in refining my digital skills, and developed one of my favorite techniques: vector mask painting. As of now, I'm comfortable in both traditonal and digital media, and often combine elements of both. Aside from art and biology, I enjoy birdwatching, gardening, photography, and gaming in my spare time. Please contact me if you would like my resume or pfd portfolio.